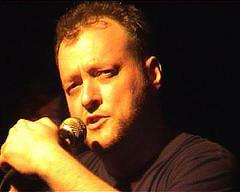 Andy Willoughby has been performing his poetry/spoken word and musical collaborations nationally and internationally since 1996. Performances include support slots for Mark Stewart & The Mafia, Linton Kwesi Johnson, Tony Harrison, Francesca Beard and Matt Caley. He was Middlesbrough�s Poet Laureate 2003 � 2004. He has had poetry and plays commissioned by New Word Order Cabaret, BBC Radio 4 Today Programme, The Primary Care Trust, Helsinki City Council, Den Haag City Council amongst others, and has performed at The Poetry Caf� - London, Kiasma Museum of Modern Art - Helsinki, The Conference of Finn-Ugric Writers in Siberia, and The Morden Tower, Newcastle. His poems have appeared in various anthologies including Oral: An Anthology of British Performance Poetry (Sceptre Press 1999), War on War (Sub Press 2004), The Flesh of The Bear (Ek Zuban 2004). His collections include The Wrong California: Middlesbrough Poet Laureate Poems (Mudfog 2004), Tough (Smokestack Books 2006). He has published a bi-lingual collaboration with the renowned Finnish writer Riina Katajavuori Peripheries (Ek Zuban 2007). His work has been translated into Japanese, Finnish, Italian, Swedish, Karelian, Russian and Dutch.